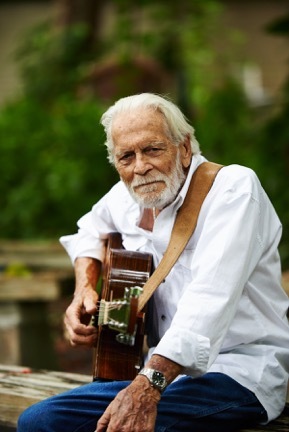 Simply put, Bob Ingram is the dean of the Coconut Grove folk music scene. revival. Bob was part of Les Baxter’s Balladeers along with David Crosby, releasing an album in 1963. The coffee house was the venue for the folk musician and the area surrounding the Grove had several of them including The Flick. Soon, folk icons like Joni Mitchell, Fred Neil, Vince Martin , Spanky and Our Gang, Jimmy Buffet, Steve Goodman, John Sebastian and many others came to the Grove to partake in its laid back attitude, warm weather and communal environment, all which contributed to the folk process– great musicians all in the same place, at the same time. The result was the evolution from traditional folk music to folk rock. Yes, the Grove was the genesis of Crosby, Still, Nash, Poco and I suppose, The Eagles. 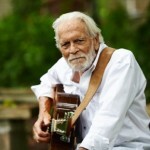 Most of the musicians moved on from the Grove, but Bob Ingram remained. He started a family with his beautiful wife Gay, who was instrumental in the cause to save dolphins. In the spring on 2014, I accompanied Vince Martin to the 50th Reunion of The Flick Coffee House. Bob Ingram performed and his role as the dean of the scene was confirmed. The result is Postcards From Coconut Grove, a work that caps a 50 plus year career, proving that Bob Ingram is vibrant and highly relevant artist. With his old band mate David Crosby providing harmony, this new album represents a historic reunion that will secure Bob’s place in the evolution of folk rock. The phrase “Coconut Grove” can’t help but conjure up an image– of wav es lapping, palm trees swaying in bay breeze, and great, great music! And no one celebrates the Coconut Grove sound like Bobby Ingram, who has been a cornerstone of the Grove folk scene since the 1960s.. It’s a bit of magical place musically, just outside of Miami, where Vince Martin and John Sebastian played with Fred Neil, Jimmy Buffet found his sound, and David Crosby first got together with Joni Mitchell. It was back in ’63 that Bobby and Cros played together as Les Baxter’s Balladeers. 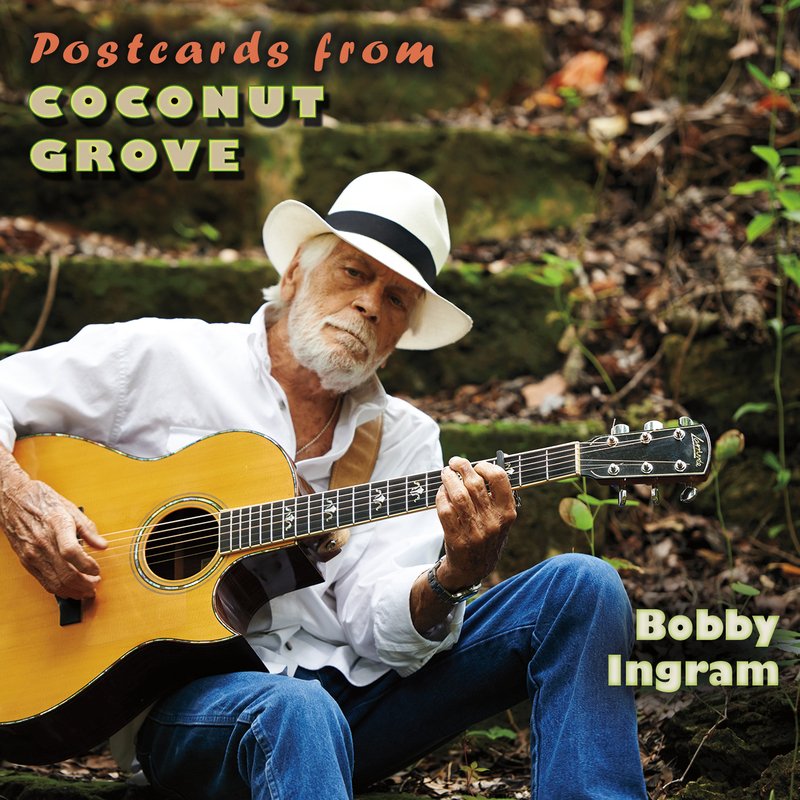 Now, in his new CD release “Postcards from Coconut Grove,” Bobby Ingram both honors the history of the Grove’s music traditions and brings it up-to-date with new, modern arrangements influenced by the contemporary Miami sounds. Songs by his musical colleagues Fred Neil, John Sebastian and Michael Peter Smith are re-imagined with Bobby’s soulful renditions, and his friend David Crosby joins him with back-up vocals on Coconut Grove, Learned A Lot, and The Dutchman. “Postcards from Coconut Grove” will transport the listener to Jasmine Town. It is available on CD from Amazon and digital download from Itunes, Amazon and other outlets.